I was recently asked to sit down with Andrew Chang of the CBC to discuss the 2013 untimely death of Antonina Elzbieta Skoczylas. Ms. Skoczylas tragically passed away after being struck by a bus while cycling on the Stanley Park causeway. This week it was announced that Ms. Skoczylas’ family is taking court action and seeking damages for her death. Ms. Skoczlyas’ death led immediately to the transportation ministry vowing to conduct a safety review of the 2.2-kilometre stretch of Highway 99 that runs through Stanley Park. 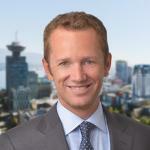 Since that time, Transportation Minister Todd Stone has announced that $7 million will be spent on enhancing safety along the Stanley Park causeway. During the interview we discussed the evidence required to establish the liability of each of the named defendants . We also talked about the circumstances under which the city might be found liable for Ms. Skoczylas’ death, and about how the Family Compensation Act could serve to limit the damages paid to Ms. Skoczylas’ family.